There’s a new app thats being advertised on Facebook today and I definitely think that this is a ticking timebomb of controversy. And its called Pangga. The app is basically a booking app for companions in the Philippines. 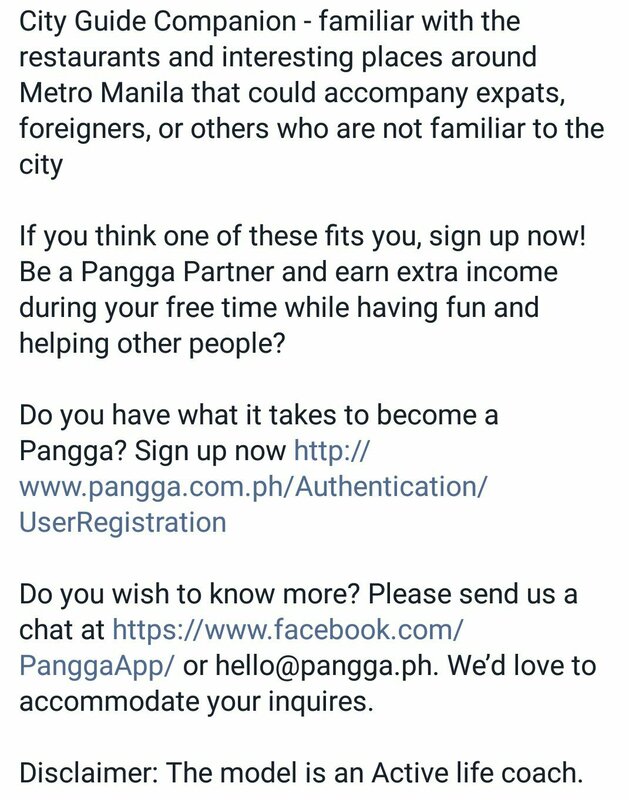 Yeah its pretty much a host booking app for the Filipino market. Here’s more from the Pangga app. Why did I say that this will be a controversial app in the making? Lets just say that its something that Filipinos are not usually welcoming to these sort of things. We do come from a predominantly conservative country so I am willing to bet that eyebrows will be raised. Wouldn’t even be surprised if this makes the news. Next story Let’s Help Kickstart this Teenage Mutant Ninja Turtles Toy Encyclopedia!